Bangkok is a thriving metropolis and one of the most popular destinations for travellers from around the globe. A melting pot of palaces, temples, markets, street vendors, huge shopping centres and its well-known dynamic nightlife, Bangkok is a city you could stay in for days and not even see half of the sights. But, despite that, I’m going to recommend that you get out of Bangkok and see some of the amazing sights that are close enough for a day trip. One of these unmissable places is Kanchanaburi, a hugely important city north-west of Bangkok and less than 70km from the Thai-Burmese border. 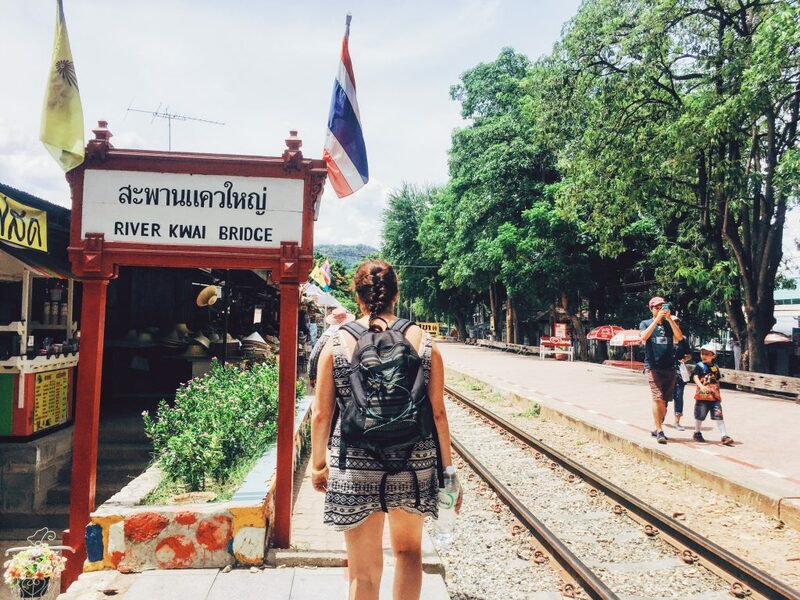 A lot of people wonder whether Kanchanaburi is worth visiting – read on to find out why I say YES! 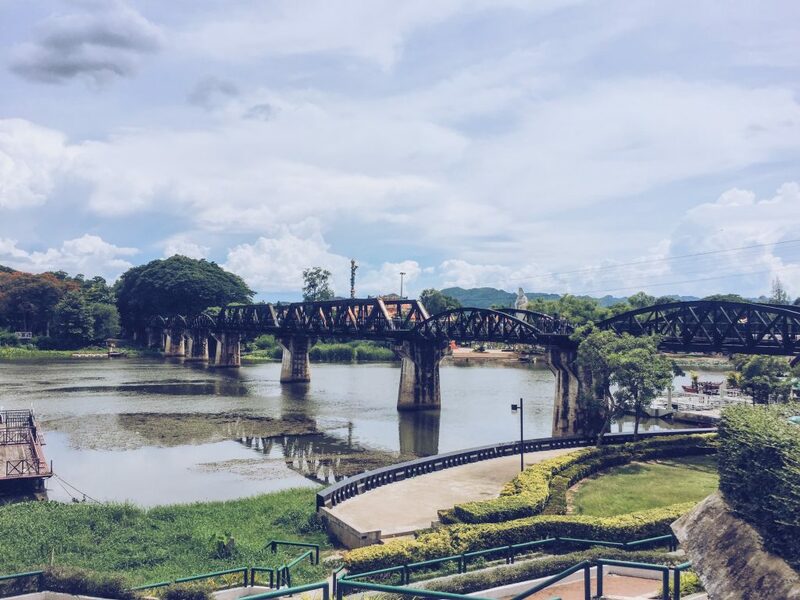 Kanchanaburi’s sombre history dates back to 1942, in the midst of World War II. In January 1942, the Japanese army attacked Victoria Point in Myanmar (formerly Burma and then a British colony) and by March they had captured Rangoon. By the end of May 1942, Allied forces had been made to retreat and the Japanese had seized control of the colony. 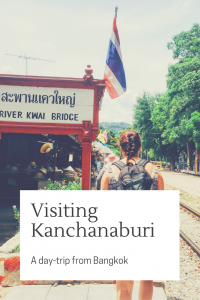 You may be reading this and thinking, I thought we were talking about visiting Kanchanaburi? Isn’t that in Thailand? Here you are correct, and the sombre history of Kanchanaburi I was referring to is forever linked with Myanmar due to the invasion by the Japanese in 1942. After their invasion of Burma, the Japanese needed an alternate route to the hazardous and exposed supply route by sea around the Malay peninsula. The journey by sea to supply troops in Burma with provisions was a lengthy 3,200km and was vulnerable to attack by Allied submarines. The alternative was decided: a railway, stretching from Bangkok to Rangoon. This route, crossing the Three Pagodas Pass and following the River Kwai Noi, had been surveyed by the British government of Burma but was always considered too difficult due to the hilly terrain and many rivers along the way. Here our story of Kanchanaburi can begin. Kanchanaburi is home to the Kanchanaburi War Cemetery and the JEATH War Museum, two must-sees when in the city. There are two war museums in Kanchanaburi and the best one (they are both referred to as the JEATH War Museum) is further from the War Cemetery and the Bridge on the River Kwai. 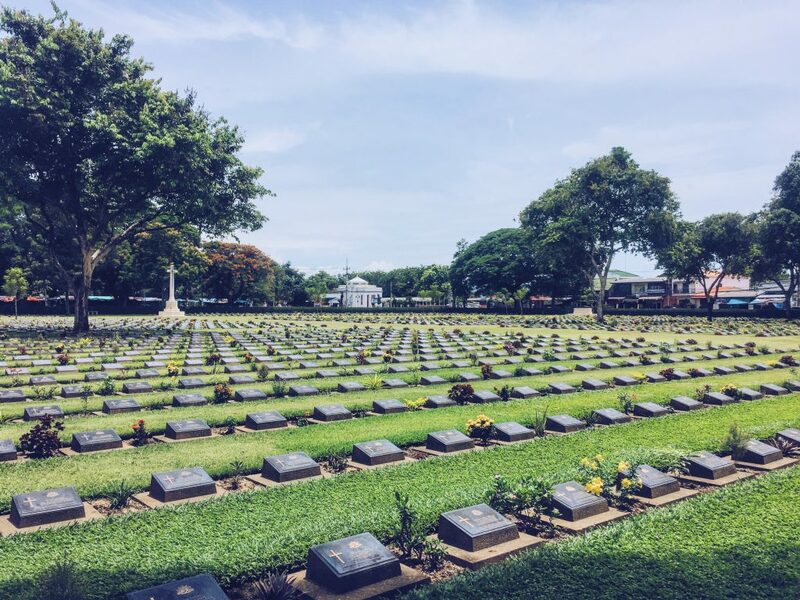 At the JEATH War Museum you learn about the history of the Death Railway – the Thailand-Burma Railway constructed to connect Bangkok and Rangoon – as well as the POWs and labourers. The 415km long railroad was built using forced labour, over 180,000 Romusha (South-East Asian civilian labourers) and 60,000 Allied POWs (who were predominantly British, Australian and Dutch). It is said that one man died for every sleeper laid. The conditions under the Japanese were brutal and approximately 90,000 Romusha and 12,621 POWs died during the construction. Death came from starvation, maltreatment, sickness and accidents. After liberation, 111 Japanese were tried for war crimes and 32 were sentenced to death for their horrific treatment of labourers and POWs. 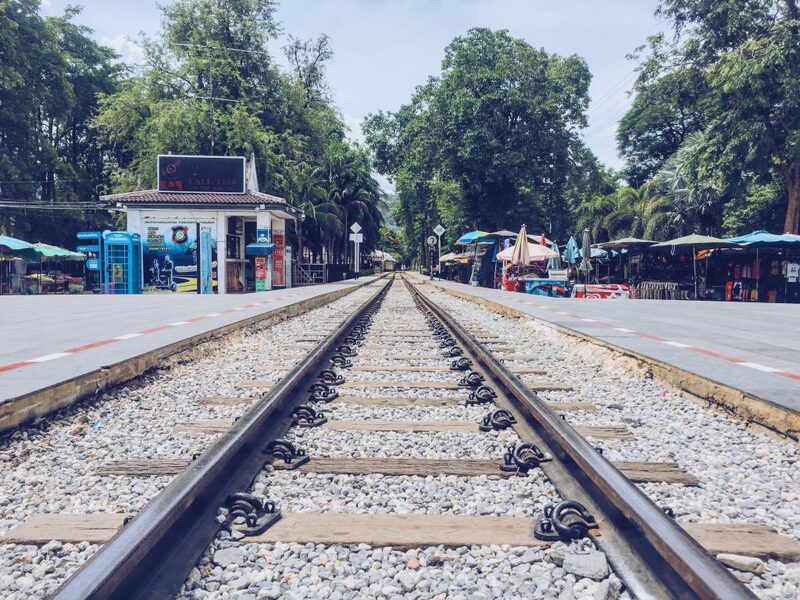 The most famous portion of the Death Railway is why most people know of and visit Kanchanaburi. Bridge 277, or “Bridge on the River Kwai” as it is better known, is the main attraction in the city. 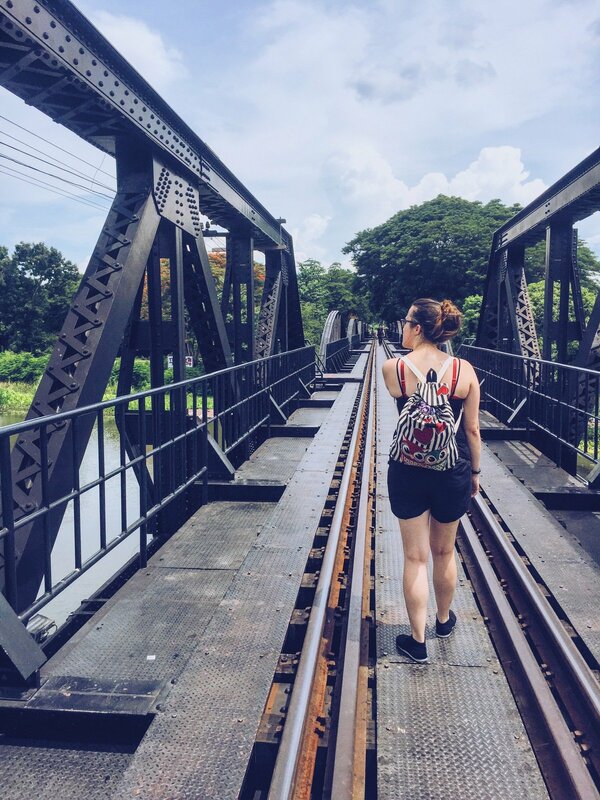 The bridge was the largest constructed for the railway at 346.3m and was made famous by the book “Bridge on the River Kwai” by Pierre Boulle and immortalised by the film adaptation starring Alec Guinness. There was immense criticism regarding the unrealistic and inaccurate portrayal of the railway and the conditions the POWs had to endure, but nevertheless, the film was a hit and tourists flocked to Thailand to find the “Bridge on the River Kwai”. There was only one problem… There was no Bridge on the River Kwai. No bridge was built over the River Khwae (Kwai is actually a mispronunciation and means water buffalo, rather than tributary), although the railway did follow the River Khwae for much of the way. In order to solve this issue, the Thai government renamed the river. Originally known as part of the Mae Klong, the stretch of river became the Khwae Yai (big tributary) and the former River Khwae became the Khwae Noi (little tributary). This is possibly one of my favourite facts about the bridge and the city – if you need to adapt to rising tourism, rename things and you’re all sorted. The bridge is completely free to see and walk on and you get amazing views up- and downriver. 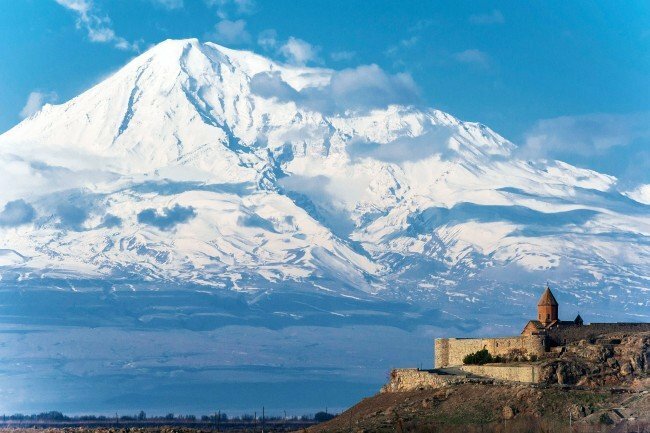 The most difficult part is actually trying to wrap your head around the horrendous conditions POWs and Romusha had to endure during construction and to try to imagine how it could have been possible for them to withstand the brutality of both soldiers and natural forces on a diet of 250g rice each day. Their suffering and also their bravery is almost impossible to comprehend, and I recommend that – if you are interested – you read some more about some of those in the camp, such as Eric Lomax, Sir Harold Atcherley, Sir Ernest Edward “Weary” Dunlop, Dr. Henri Hekking and Herbert James “Ringer” Edwards, who survived crucifixion at the hands of the Japanese. Ringer Edwards’ story is one of the most insane and incredible survival stories I have heard; he was tied with fencing wire, suspended from a tree and beaten with baseball bats before being left for 63 hours – his comrades risked their own lives to smuggle food to him and he survived the ordeal. The city of Kanchanaburi also has a lot to offer aside from the incredible historic importance and tragic but impressive architecture. I definitely recommend getting the train at least one way (Bangkok Thonburi to Kanchanaburi or vice versa) as the journey is truly amazing and you really get the opportunity to think about the literal blood, sweat and tears that went into building the railway. 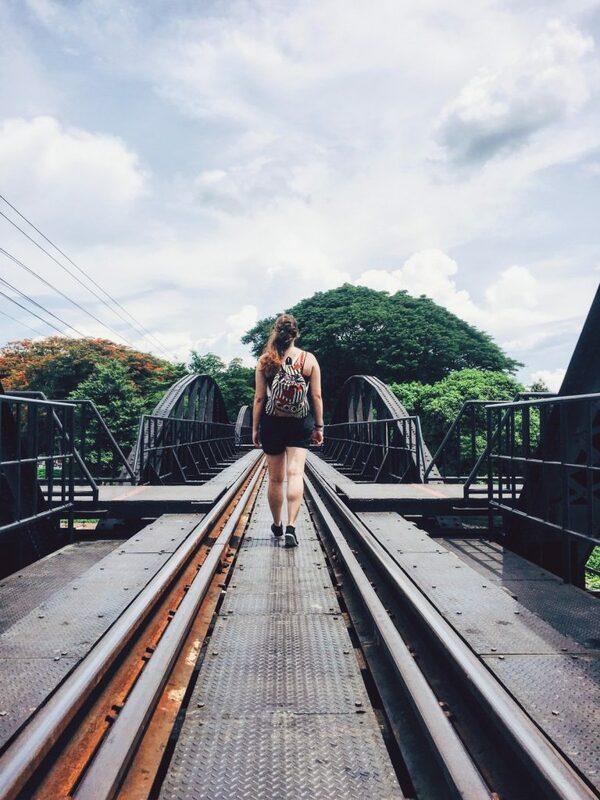 Kanchanaburi is also an incredible gateway to the Erawan Falls and National Park – if you have the opportunity to see these (which unfortunately I didn’t get time for) you definitely should not miss them! The city also has a huge jewellery market and, with some bartering, you can get some lovely pieces for great value. There is also a market near the bridge where you can buy clothing and food (pad thai is recommended!) and a few coffee shops on the same street. 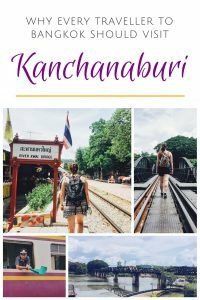 Kanchanaburi is a city not to be missed, whether you do a day trip as I did or stay for a few days to see the Erawan Falls and National Park as well as Hellfire Pass. 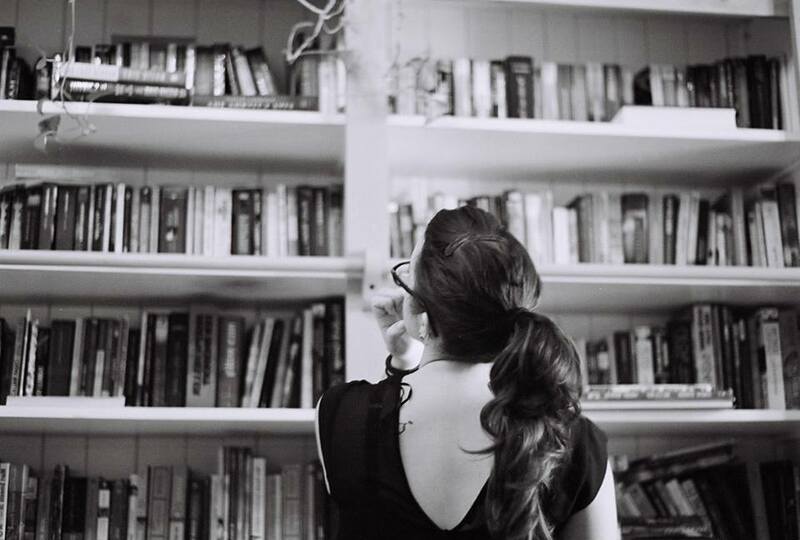 It may not be well-known, but it is so very important. So, yes, Kanchanaburi is worth visiting! Have you been to Thailand and did you visit Kanchanaburi? 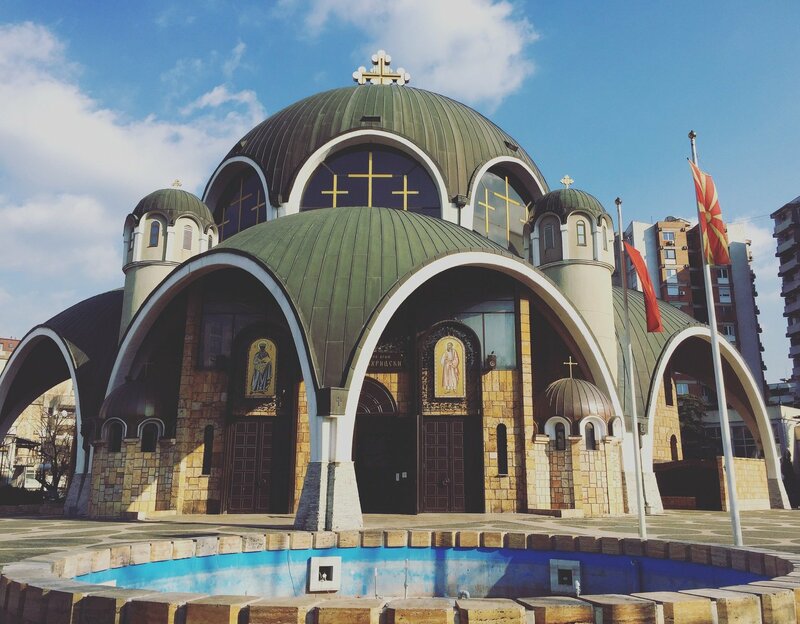 If not, do you want to visit? Tell us in the comments! 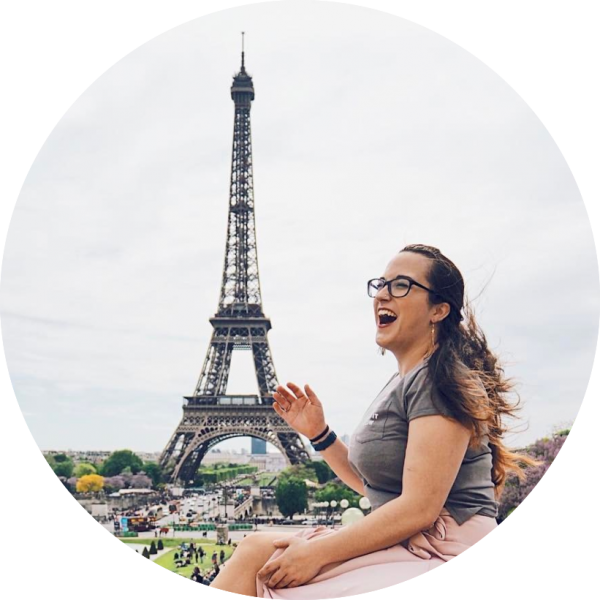 If you enjoyed reading this article, don’t forget to share it – you can re-pin the above photo on Pinterest!